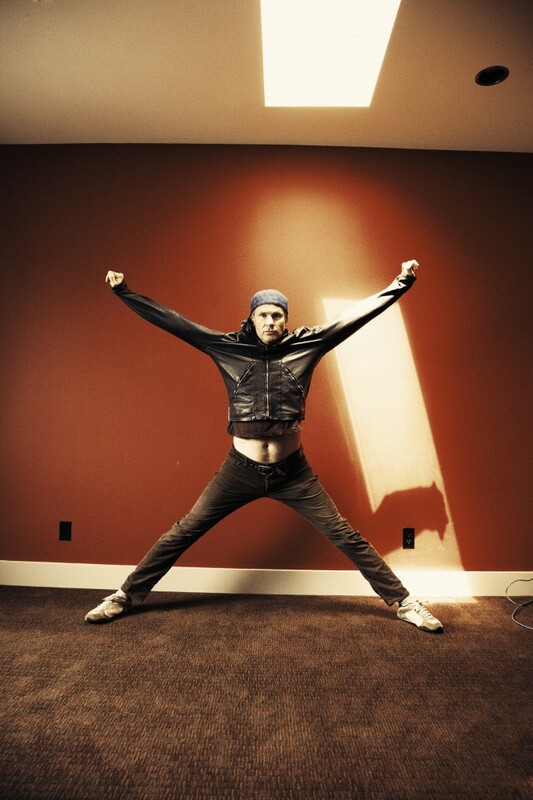 Chad Smith and Chickenfoot will be in South Lake Tahoe this Saturday, September 5th at Harvey's Outdoor Ampitheater. 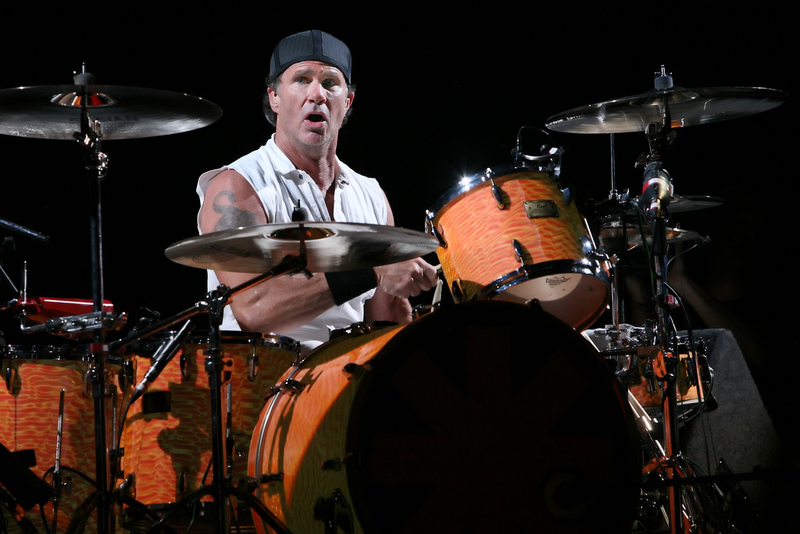 Chad Smith is most well known as the drummer in his full time rock band The Red Hot Chili Peppers. He is currently touring the country with Sammy Hagar, Mike Anthony and Joe Satriani in a side-project super group known as Chickenfoot. When you put four random dudes together in a band, it may be acceptable to name the band something ridiculous that is a truly terrible name. But when the four dudes are rock legends Sammy Hagar and Mike Anthony, guitar virtuoso Joe Satriani and perhaps one of the biggest drummers of the last thirty years in Chad Smith, would you really want to slap a name like “Chickenfoot” on it? Probably not. But the name stuck, and Smith, Satch, Sammy and Mike have been touring the country this past summer, playing the music they all love – rock’n’roll. 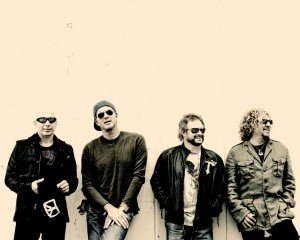 From a hotel room in Boston, MA, Chad was kind enough to spare some time to talk with SouthLakeTahoe.com about all things Chickenfoot, the upcoming show on September 5th, Sammy’s invincible spirit and a little update on the status of Chili Pepperland. SouthLakeTahoe.com: Good morning, thanks for taking the time to chat with us today. 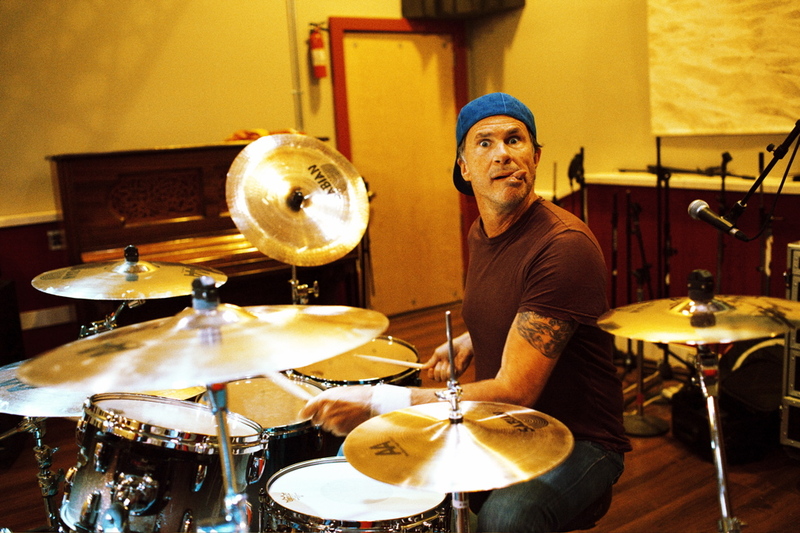 Chad Smith: Not a problem, thanks for calling. SLT.com: How’s the tour going? You guys played Boston last night, correct? CS: Yeah, yeah. It was a killer show man, I had a blast. This whole tour has been just a bunch of fun for all of us. SLT.com: Well that can’t be a bad thing. CS: Not at all (chuckles). SLT.com: Alright, on to the important, crucial life and death stuff. Now, the general story of how you got acquainted with Sammy and sort of the “birth” of Chickenfoot came when you were down in Cabo San Lucas, and ended up somehow meeting Sammy and playing with him the same night? CS: (Laughs) Yeah. It was Sammy’s birthday bash that night, and I remember just seeing a line that wrapped all the way around the block. I feel bad admitting this, but the line was ridiculous and I never ever try to do this s*** but I ended up walking up to the bouncer and trying to explain that “Hi, I’m Chad, I play in a band called the Red Hot Chili Peppers” (laughing) and he checked my ID to make sure I wasn’t bulls***ing him, then a guy comes out and says “Hey! Sammy wants to meet you.” And I met him that night, and ended up playing with him that night. SLT.com: And Joe Satriani was down to do it? CS: Yep. He came in and played with everyone and it was so natural how well we got along with each other and played together. It was almost strange how easy it just kind of happened. CS: (Laughs) Yeah, I know. CS: Well, somebody said “It doesn’t matter what we call ourselves. Hell, we can call it Chickenfoot and it’ll work!” and we always thought we’d rename it. But over time it just kind of stuck and we can’t change it now. SLT.com: I’ve been listening to the album pretty ritualistically the past week, and I’ve gotta say that this is some quality rock. No strings attached just good, great rock music. CS: Thank you very much, I’m glad you enjoy it as much as I do. I mean, it’s the music I grew up loving to play. I grew up on Zeppelin, The Who, and just all the rock music from that era of the 60s and 70s. So to be able to play it live, playing original rock’n’roll with Sammy, Mike and Joe is just incredible. SLT.com: It really seems like the main thing for you four guys is to just keep it fun. You guys really do portray just a group of fellas having a grand old time playing grand old music together. Has Chickenfoot always been about that? CS: Absolutely. I mean, Sammy Hagar is one of the most energetic, excitable, just all around happy-go-lucky people I’ve ever met. He’s always just so excited! And the fan base… Sammy’s fanbase… is ridiculous. Like. They’re hard-core out here. You’ll see thousands of screaming mid-30s, 40s, 50s just yelling out “Yeah man! Red Rocker! Whoo!” I mean it is awesome. SLT.com: Sammy never slows down, does he? CS: Not for a second. (Laughs) I mean Sammy… dude he’s supposed to be old. You will never see a guy just so full of joy and life out there. We’ve played quite a few shows now, and there have been some where there would be fans waiting outside for autographs outside the place we’d play, and I’m so exhausted sometimes that I’ll, you know, just walk by. Sammy signs autographs. Every night. To everyone he can. He loves his fans so much, and he is always, always there for them. CS: Yeah. It’s really just so much fun to play with him. SLT.com: There is a lot of hidden contrast in the album you guys have cut. The Chickenfoot self-titled has quite a lot of different variations and dynamics in lyrical content and – perhaps most importantly – groove. How did you guys come up with songs like “Learning to Fall” and “Down the Drain” – one of them is reminiscent of a classic rock ballad, and the other almost puts you in a prime-time Pat Travers show. Just gritty dirty rock. CS: Yeah, okay. That’s a great question because they really are two entirely different sounding tunes. “Learning to Fall” was actually built upon a song that Joe had written with Sammy in mind years ago. And when Joe started contributing all of these songs to the project, this one was one that he thought would be a great one for Sammy to do, you know, almost solo when done live. It was a melody that Joe came up with, and Sammy put together some heartfelt words on it and then Mike and I came in and put our spin on it and just cut it live. SLT.com: Was the whole album cut live? CS: Basically yeah. And that’s where “Down the Drain” came about. It was really nuts how easy that one happened. We had all been playing together, us four, for about eight or nine months and everything just kept on falling into place. Joe just had this riff – he started playing this real crunchy, bluesy rock riff, and Mike and I just started jamming to it, right there in the studio. Sammy picked up on it right away and we just developed it essentially out of an impromptu jam session. I don’t think I can remember a song that came easier to me in my career. And to have that experience with Sammy, Joe and Mike made it just a real special feeling. It’s just so rare. SLT.com: Quite different from a typical song composition? CS: Oh yeah. You know, usually you go “Oh, that sounds pretty good.” and think “What can we add to this to make it a little more ‘this’?” or you try to write some other parts to go with it. Most jam sessions don’t really amount to a complete song all that often. We added the bridge as another part a little bit later but 90% of that song was just straight from a free jam session into the record, and that’s what makes it so special. SLT.com: Well with you four guys making waves everywhere and all four of you involved with multiple side projects, what is going on with the Chili Peppers? CS: We will be writing more material this fall. October will be two years since we’ve last toured. We originally were just going to take one year off, because it had just been a write-record-tour write-record-tour write-record-tour schedule for us the last ten years, but after a year we all met up and decided “Hey, let’s take one more year off, we’ve got some other stuff we’re all enjoying right now.” It’s been nice for us to spend a couple years not being a Chili Pepper and doing our own thing for a bit. I finally was able to do this with Sammy which is a great time, so it’s like there’s no rush for any of us. I’m having a lot of fun with Chickenfoot right now. Great interview man. One of the Chili Peppers, how cool is that, nice work. I look forward to more cool stuff like that. Awesome article. Look forward to seeing Chickenfoot sometime. Excellent interview! Good job Brandon!